Our vision: A place where people and wildlife thrive together. To achieve this, we educate through programs and field trips, restore habitat, participate in citizen science projects to monitor the health of the environment, and advocate on behalf of the people and wildlife and habitat in the region. Our Mission: We inspire, motivate and engage people to protect, preserve and restore wildlife habitat. Loudoun Wildlife educates by leading people to discover through field trips and programs. Indoor and outdoor events open doors to the world of dragonflies and owls, amphibian night sounds and bird songs in the early morning, great trees and wildflowers. We explore the natural world through citizen science projects. 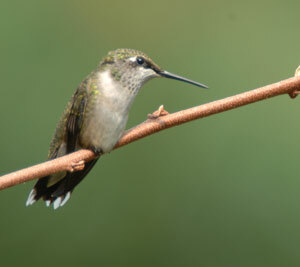 Our participation in the Christmas Bird Count and the Annual Butterfly Count contribute to national databases. 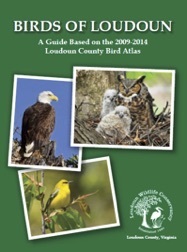 The Loudoun County Bird Atlas documents breeding birds in our area. Our Bluebird and amphibian monitoring activities keep an eye on the health of those species, as does our stream monitoring for area waterways. All this and more happens with our volunteers who drive the organization, with help from a small group of part-time staff. Volunteer participation is vital to the success of all our projects. Volunteers help restore habitat in the community and at home, create waystations for Monarch butterflies. Volunteers help to protect natural resources and wildlife by researching topics for our advocacy efforts. Why do we all do this? We are the stewards of this land. We are responsible to future generations for what is saved and what is destroyed. In times like these where habitat loss is running at an unprecedented pace, the wildlife of Loudoun needs us and it’s our responsibility to build the understanding and compassion and act now to preserve and protect the wildlife habitat of Loudoun. In the end, we will conserve only what we love; we will love only what we understand; and we will understand only what we have been taught.